Soybeans start their rich history in ancient Chinese myth, around 2853 BCE, being proclaimed as one of the five sacred plants along with rice, wheat, barley and millet. 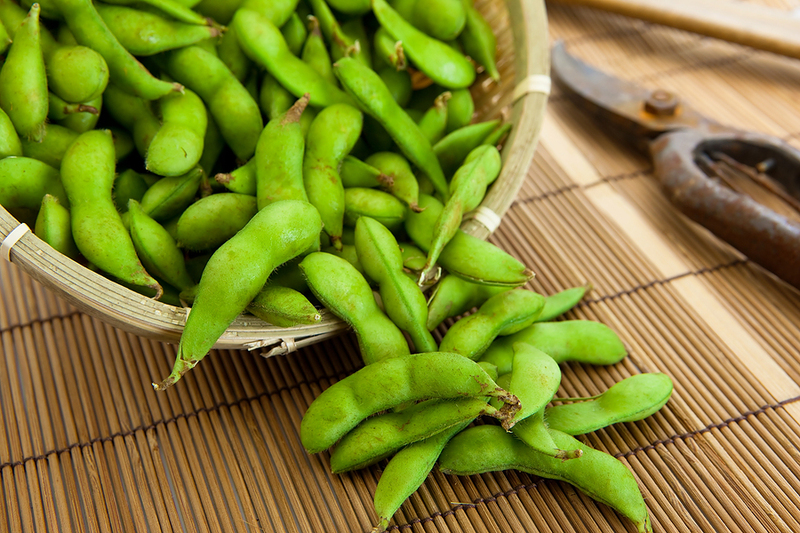 It was not until after 1895 that soybeans were introduced to the rest of the world when Japan began to import soybean oil. Originally the bean was used as a forage crop or fertilizer. After World War I, during The Great Depression, the drought stricken regions of the US were able to use Soy to regenerate their soil because of it’s Nitrogen-fixing properties, giving it the title of ‘The Miracle Crop’. Leading the soybean industry was Henry Ford, spending nearly 1.2 million on soybean research, helping to develop it’s use in both food and industrial products. Today soy has proven to be a useful vegetable in our everyday lives as an ingredient in everything from edible products, animal feed, to industrial.